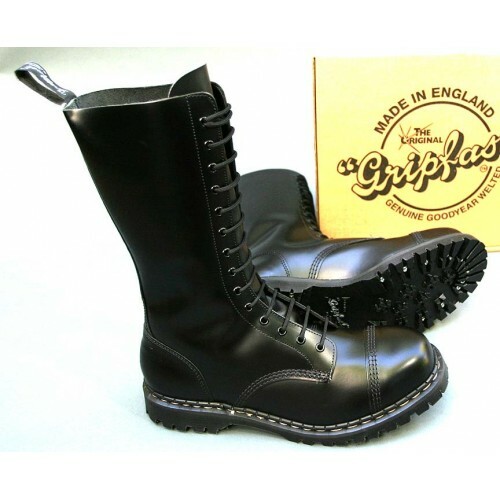 This British boot (still made in the UK) features a steel cap toe and a screwed bottom sole/heel construction. 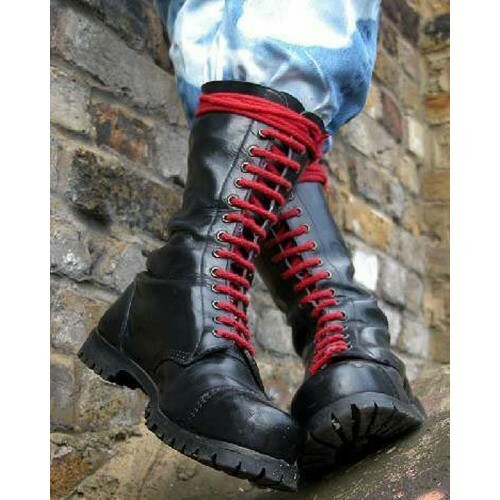 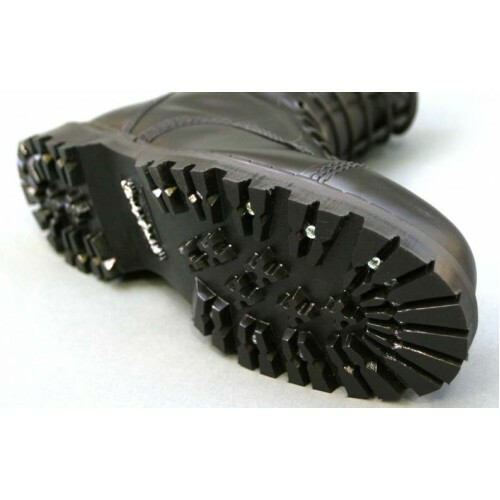 The Brits measure boots by the number of eyelets while we say this model is 14" high. 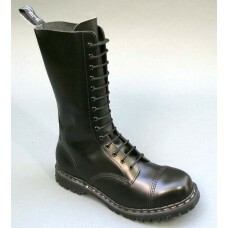 Made from quality black High-Shine leather.